(TibetanReview.net, May02, 2015) – Hundreds of Tibetans living in remote inaccessible villages in Nyalam, Kyirong and Dingri counties of Shigatse City still remain cut off from the outside world as a result of the devastating 7.9-magnititude earthquake which hit neighbouring Nepal on Apr 25. Roads leading to these villages are still blocked by debris and hundreds of people are thought to be trapped, with vital supplies running out, reported China’s official Xinhua news agency Apr 30. The report said local authorities were preparing to blast their way through the landslide, using controlled explosions, but were being hampered by heavy snow and cold temperatures. China was also relocating the nearly 6,000 resident of Dram (Chinese: Zham or Zhangmu) Town in Nyalam County due to high risk of more landslides to a resettlement site in Lhatse County, some 300 km away, reported Xinhua May 01. The town had remained cut off until Apr 28. The report said the death toll from the quake was 25 in Tibet, with four missing and 797 injured. The quake was reported to have affected nearly 300,000 people in Tibet, with more than 52,000 being displaced. 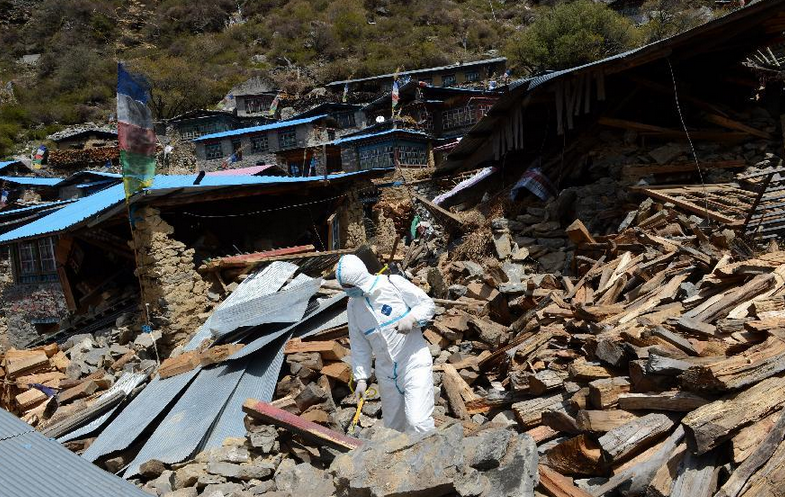 In Nepal the death toll had reached 6,204 on May 1 morning, with 13,932 others being injured. Sindhupalchowk was the worst-hit district with 1,820 people killed. Besides, some 148,329 houses were destroyed and 136,582 others damaged, the report added, citing Nepal Police Headquarters.